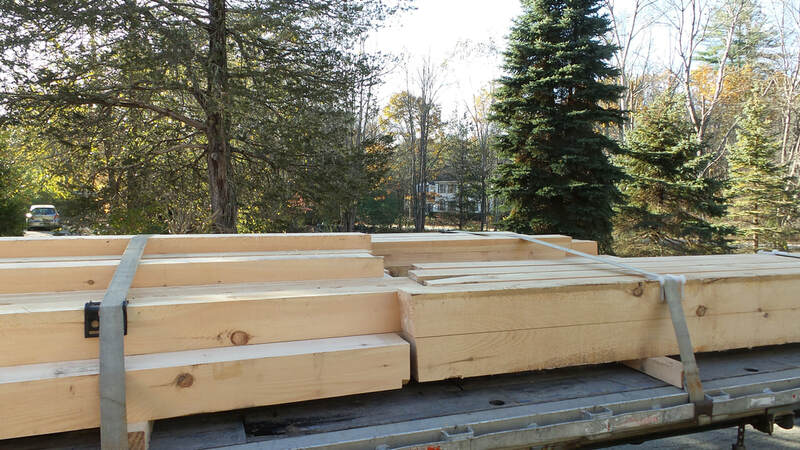 The AHA is raising money in an effort to build a carriage barn on the AHA property to house an 1888 sleigh that is being donated to the AHA by John Rolfe. 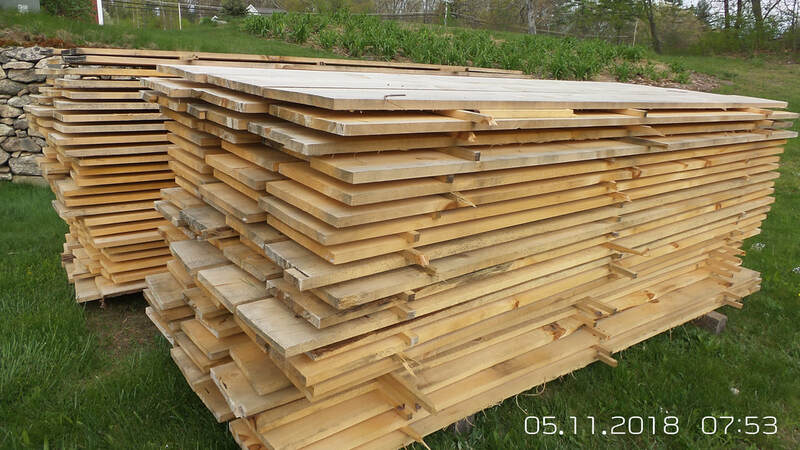 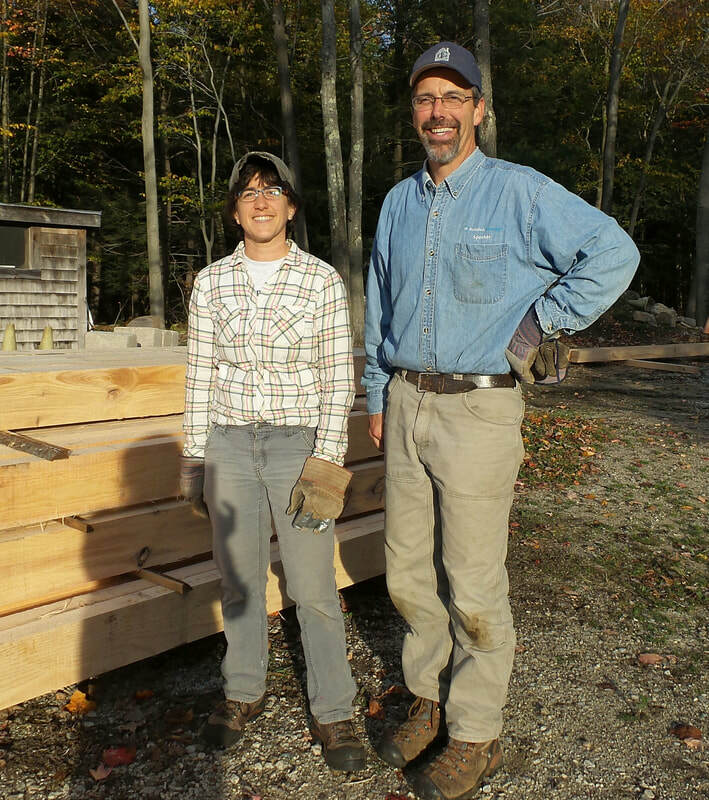 The shed is slated to be 20” x 24” and will be built by local community members using local wood. 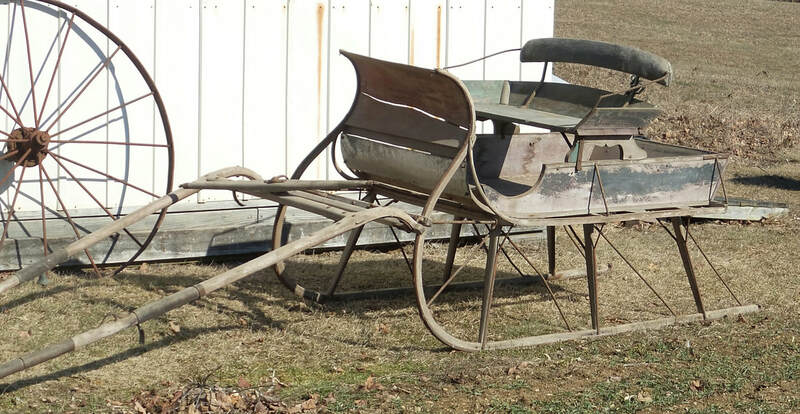 The sleigh was originally made in Auburn, NH by A.E. 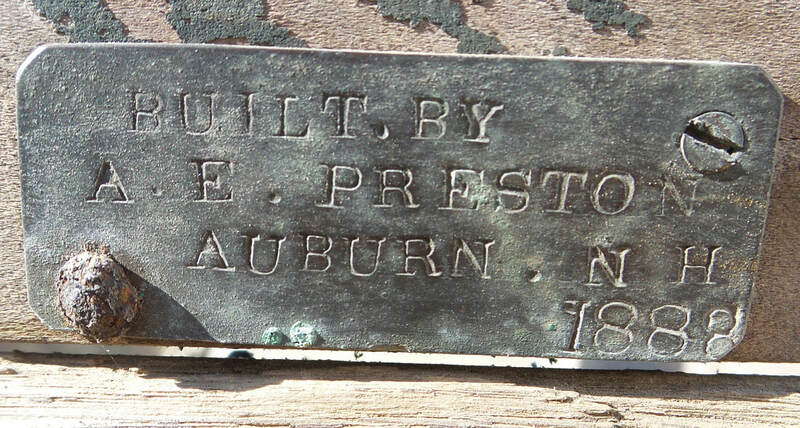 Preston in 1888 (see photos of the sleigh below). 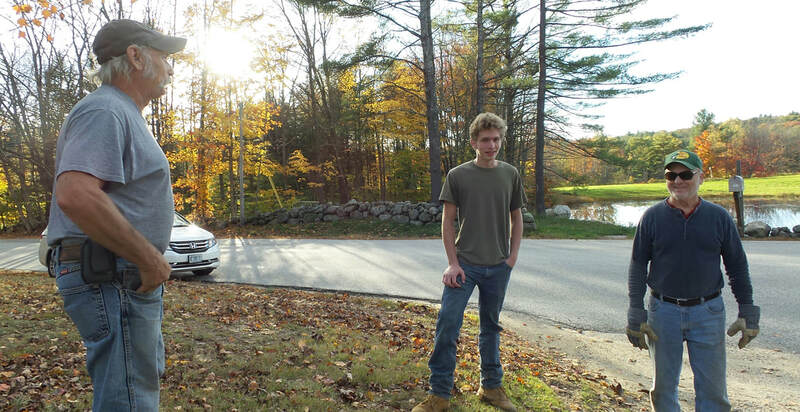 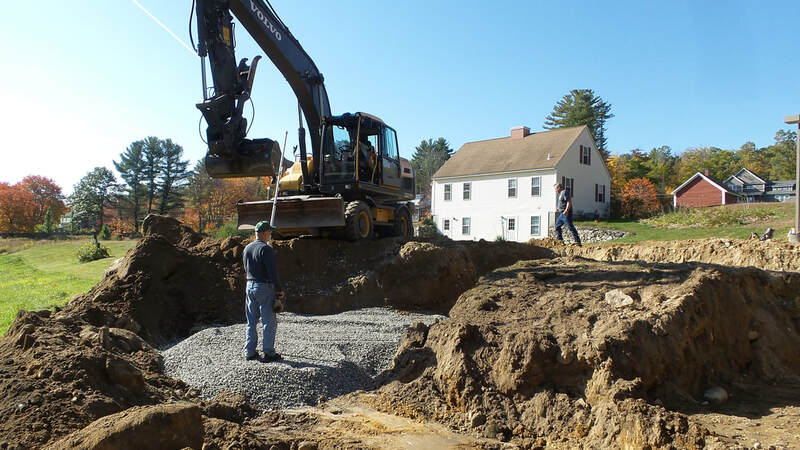 The conservation committee gave it’s okay and needs the planning board approval for minor site plan review / in the process of obtaining a NH Shoreline Protection Act. 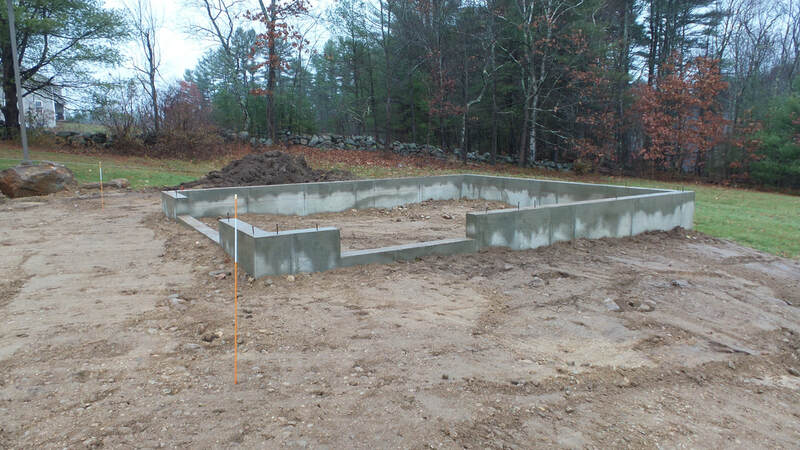 Manchester Foundation had the best price for the 4 foot frost wall. 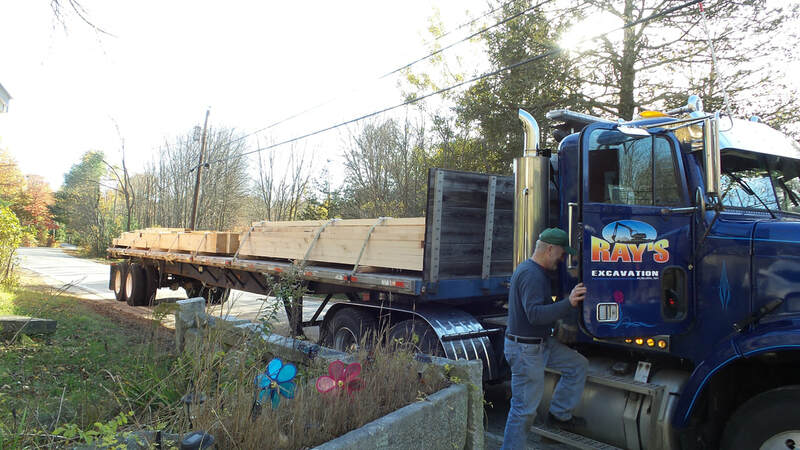 Auburn's Ray Racicot and Mickey Rolfe will donate the time for the site's dirt work and moving of the timbers. 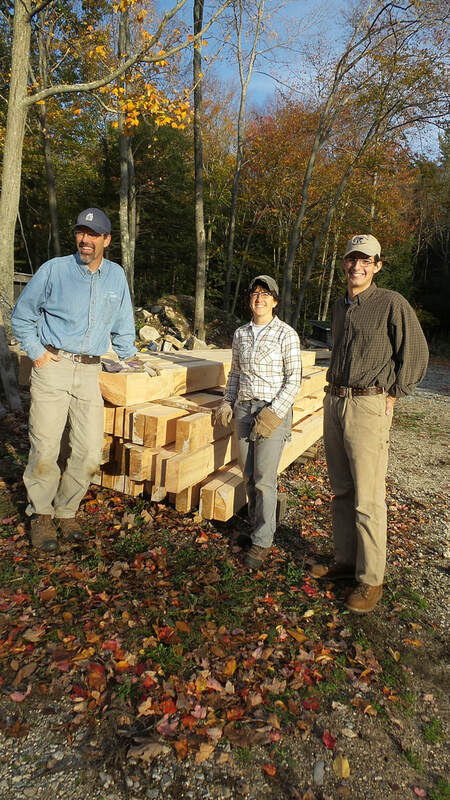 Jesse Remington High School in Candia, NH cut out timbers and framed Memorial Day 2018. 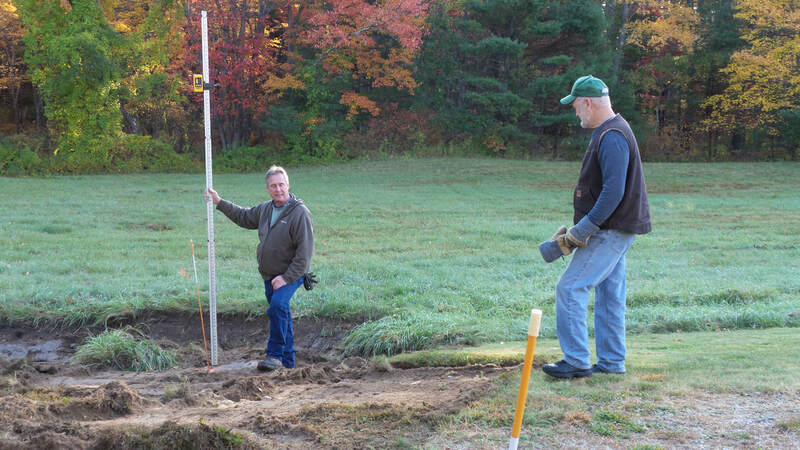 The site-work was started on Saturday, October 21, 2017 with the help form: Mickey Rolfe, Mike Dross, Dan & Dottie Carpenter, Ricky & Judy Davis and Rick Eaton. 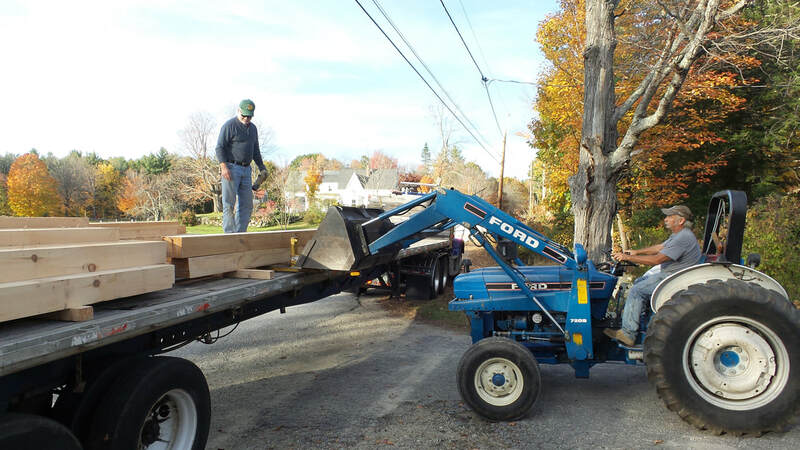 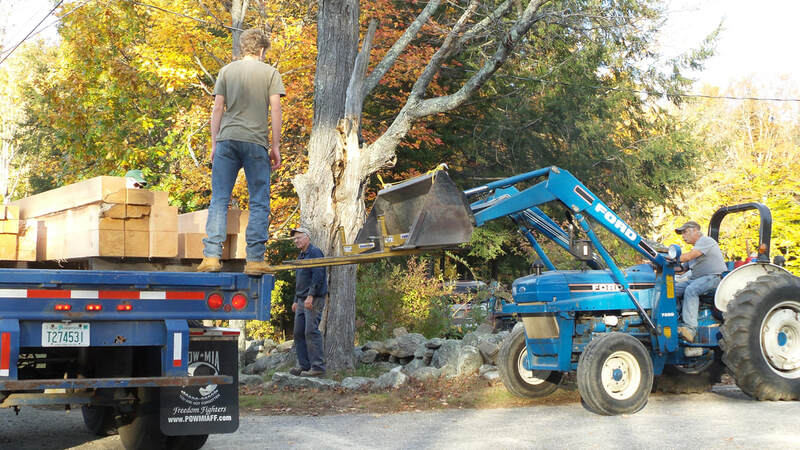 Timbers brought to Candia, New Hampshire by Ray Racicot's flatbed with Dan Carpenter along for the ride on October 27, 2017. 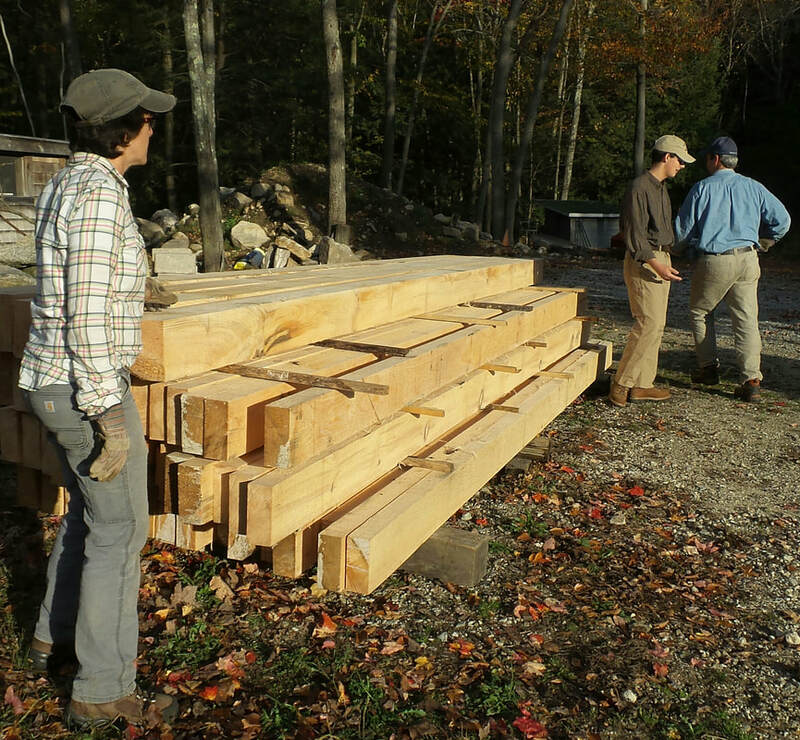 Jesse Remington High School students starting the carriage barn on October 30, 2017 in their timber making class. 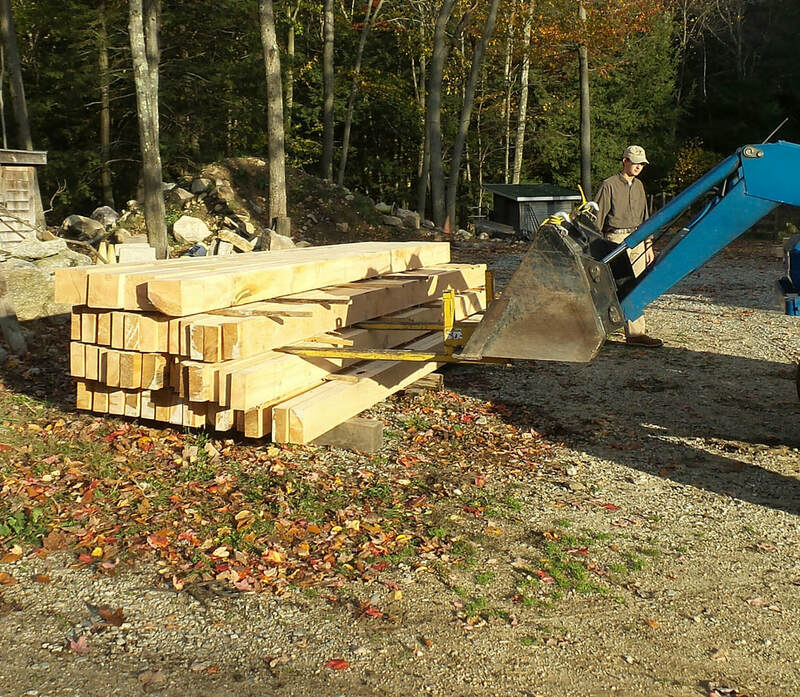 Friday, October 27, 2017 Ray Racicot and Dan Carpenter hauling the timbers to Candia for the students at Jesse Remington High School to build the Historical Association's Carriage Barn in their timber making class. 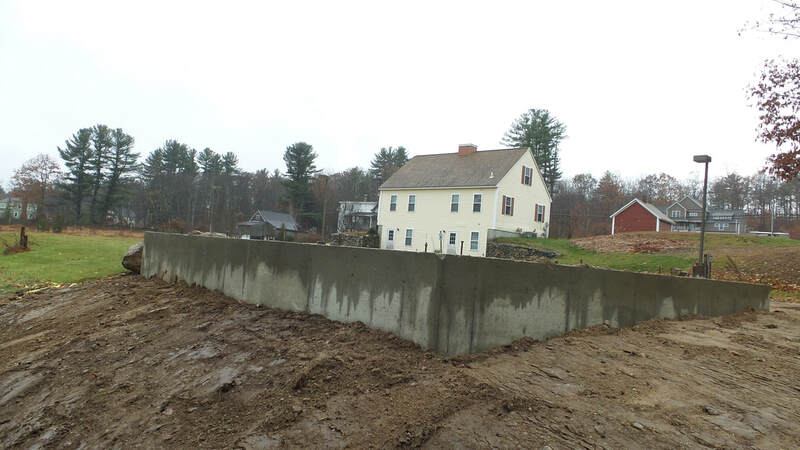 The foundation for the carriage barn was back-filled on Saturday, November 18, 2017 by Mickey Rolfe. 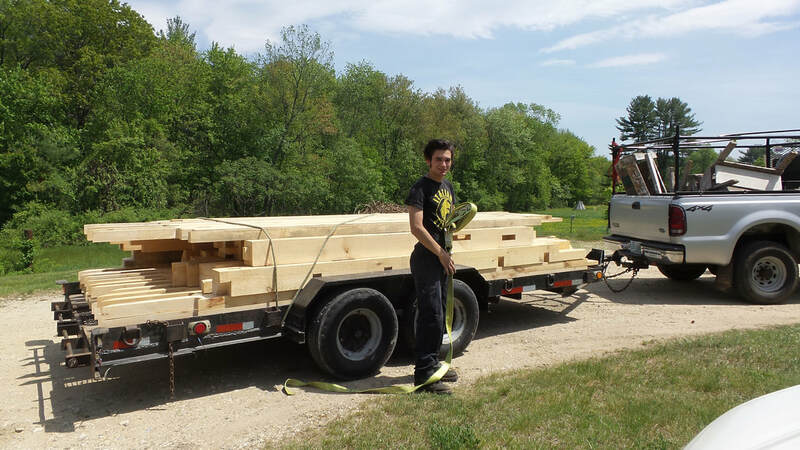 Building the carriage shed Memorial Day weekend - 90 degrees Friday May 25th and 50 degrees and raining Saturday May 26th (below). 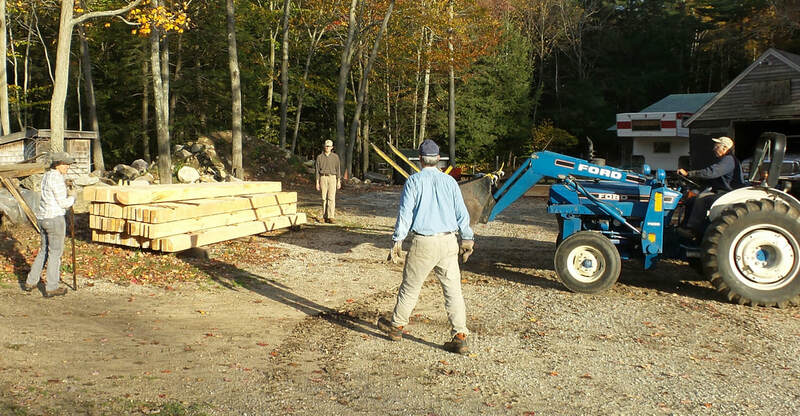 Building the carriage shed Memorial Day weekend - Sunday and Monday, May 27th & 28th (below). 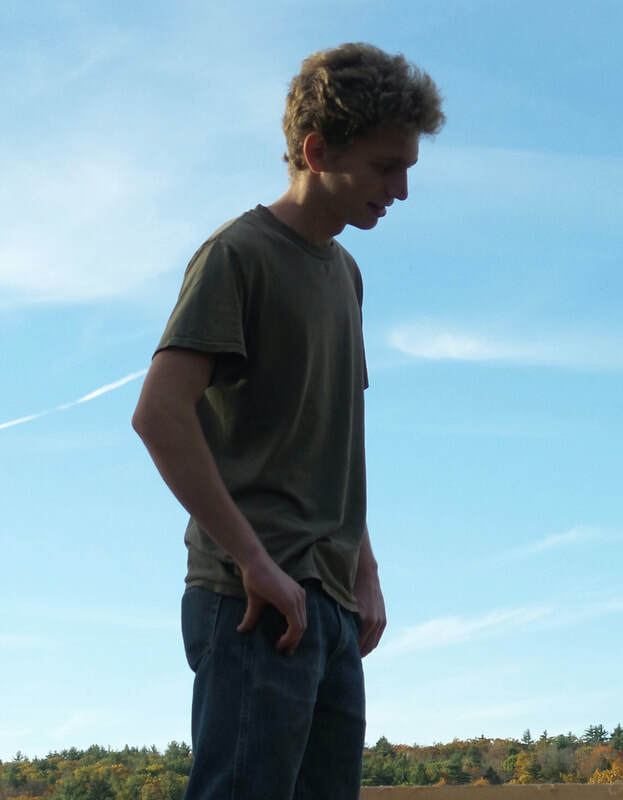 Sunday, July 1, 2018 - The temperature was 94 degrees (heat index 106 degrees) hot and humid. 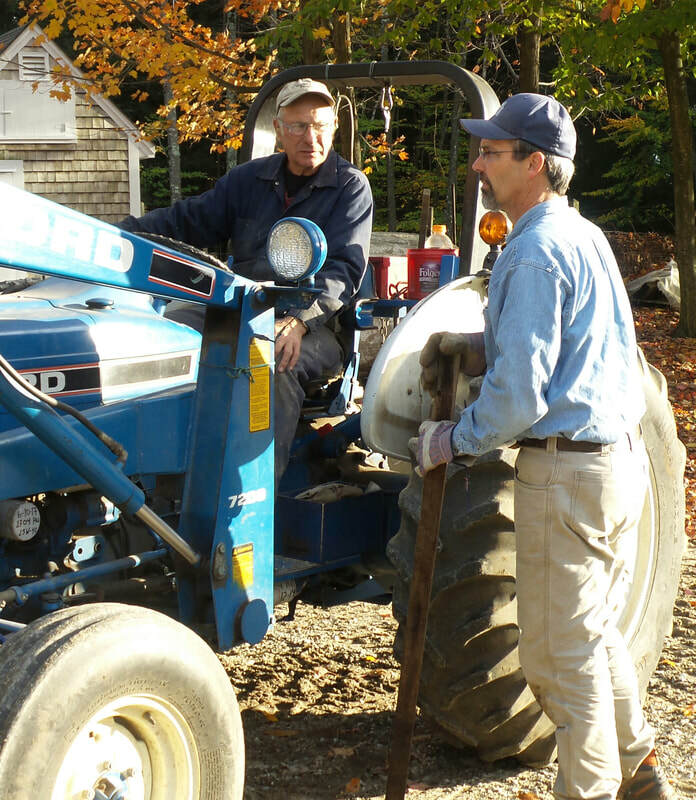 Ed Fehrenbach along with his son Zack spent their time putting on the red metal roof on the carriage barn. 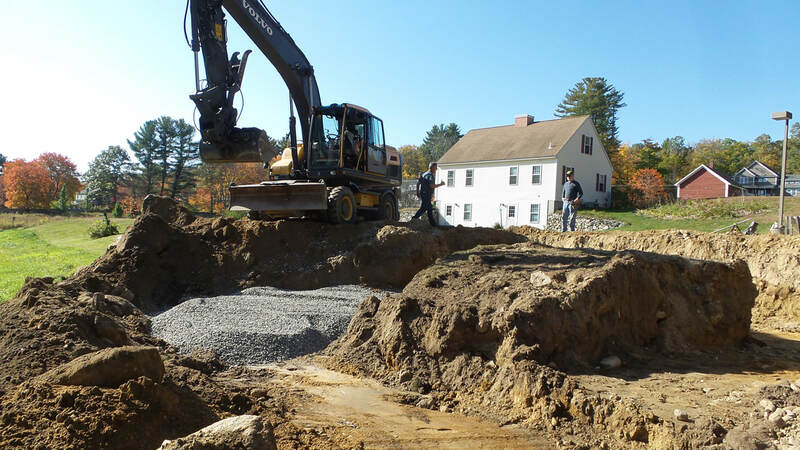 September 20, 2018 Raymond Racicot dug the trench for the electrical work from the museum building to the carriage barn.